For my Mama Kat prompt this week, I chose “An invention you’d like to see created.” Although I usually let www.random.org choose for me, number 3 was practically waving its hands and begging to be chosen. I have finally entered the world of fitness technology gadgetry. I have had the same running watch so long that I really can’t remember when or where I bought it. The velcro that holds it on is about to fall apart, but otherwise it has been a trooper. Very basic – it keeps time and that’s it but that is all I felt I needed. Until now. Now I have coaches (PRSFit) and Jeff and Diane of PRSFit use heart rate monitoring as a key component of training. (This post provides their rationale in detail.) 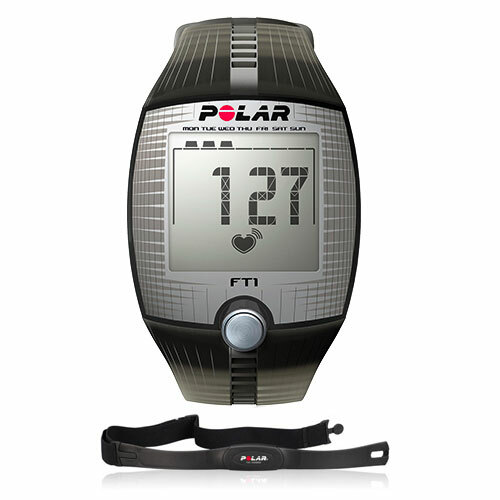 I had to buy a heart rate monitor as part of my coaching process. Enough about the fact that I have taken this baby step. Now it’s time to talk about the strap. The heart rate monitor consists of the watch-like part you wear on your wrist, and it gets its information from the monitor you wear around your chest. I have known all along when lots of my fitness friends and acquaintances had heart rate monitors on their wrists, that they had the other piece strapped around their chests. Now that I have been doing it myself a couple of weeks, I am here to commend them for their patience and advocate for a re-design. What mystifies me is why something that we use while doing something that makes us feel so free, is so darned constrictive! Although I am getting used to it, it still feels tight while at the same time feeling like it may fall off at any minute. The #2 option, however, is expensive and the reviews I have read have been underwhelming. Surely there’s something that is just as functional but a lot more comfortable. I don’t know what, but for Heaven’s Sake I live in the town that educated the inventor of Spanx. There must be some way to improve the chest strap experience. 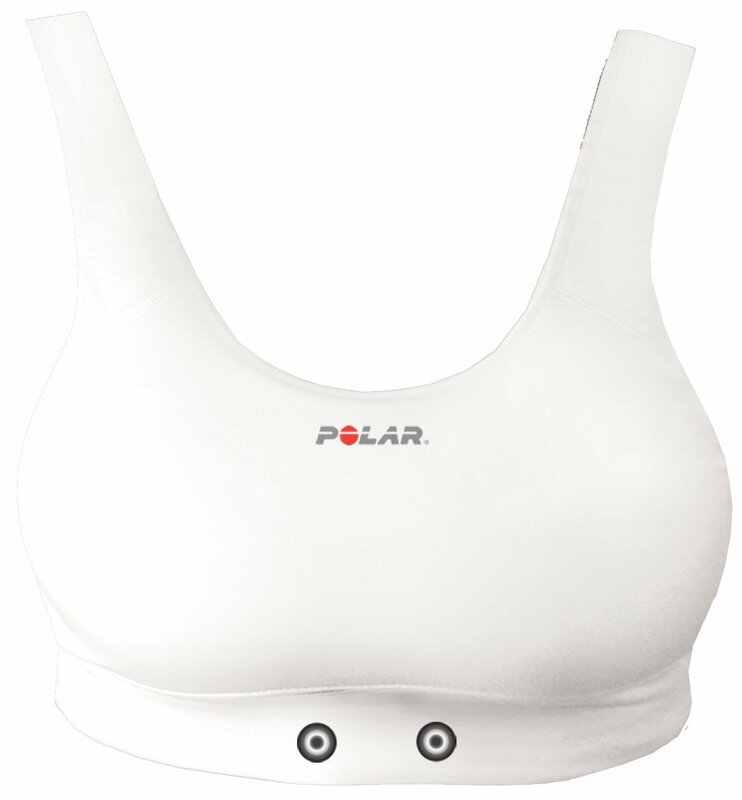 ps – this is a tangent, except for the fact that this post is kind of bra-related. 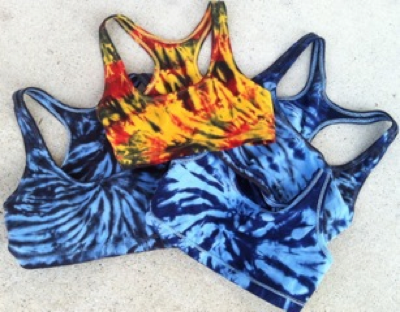 Aren’t these some of the coolest looking sports bras you’ve seen? They’re from Roll Up N’ Dye, an artist I learned about from Ann of Ann’s Running Commentary.